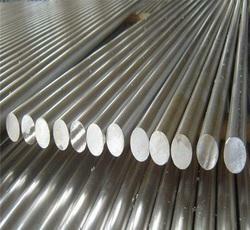 We are engaged in offering SS Round Bar to the clients. 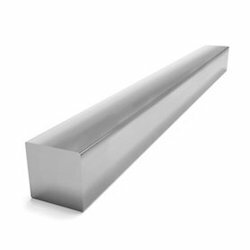 SS Bright Bar is the standard molybdenum-bearing grade, second in importance to 304 amongst the authentic stainless steels. The molybdenum gives 316 better overall corrosion resistant properties than Grade 304, particularly higher resistance to pitting and crevice corrosion in chloride environments. It has excellent forming and welding characteristics. It is readily braking or roll formed into a variety of parts for applications in the industrial, architectural, and transportation fields. Machined components, pump shafts, valves, fasteners, machine tools, dairy equipment, surgical & medical parts, threaded bars, studs, bolts, pins, hinges and handles. Backed by rich industry experience, we are presenting a vast variety of SS Square Bar. The offered range is used in various industries for a different purpose. Offered in various sizes and types, this range is manufactured by our vendors, using the high-quality raw material to suit the requirements of our customers. Furthermore, the entire range is passed through a series of practical tests ensuring its durability. Also, we offer the offered range at industrial leading prices. 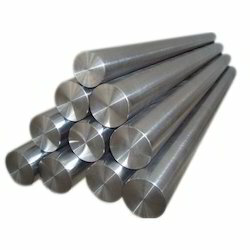 We have gained rich industry experience in the field of supplying a huge gamut of 304L Stainless Steel Hex Bar. Available in different sizes, shapes, finishes and dimensions, all our products require less maintenance and are ideal for high temperature & pressure applications. We have made our exclusive range of these caps by making use of world-class raw materials and sophisticated technologies. 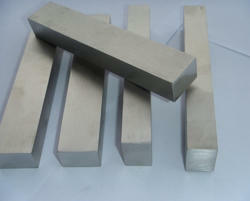 We are engaged in offering Stainless Steel Hexagon Bar to the clients. We have ready stock of 200,300 & 400 Series which is the standard "18/8" stainless; Stainless Steel Square Bar is the most versatile and most widely used stainless steel, available in a wider range of products, forms and finishes than any other. It has excellent forming and welding characteristics. The balanced austenitic structure of Grade 304 enables it to be severely deep drawn without intermediate annealing, which has made this grade dominant in the manufacture of drawn stainless parts such as sinks, hollow-ware and saucepans. For these applications it is common to use special "304DDQ" (Deep Drawing Quality) variants. Grade 304 is readily brake or roll formed into a variety of components for applications in the industrial, architectural, and transportation fields. Grade 304 also has outstanding welding characteristics. Post-weld annealing is not required when welding thin sections. 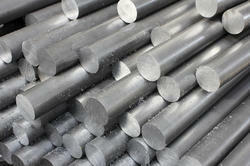 Grade 304L, the low carbon version of 304, does not require post-weld annealing and so is extensively used in heavy gauge components (over about 6mm). Grade 304H with its higher carbon content finds application at elevated temperatures. The austenitic structure also gives these grades excellent toughness, even down to cryogenic temperatures. Grades 321 and 347 are the basic austenitic 18/8 steel (Grade 304) stabilised by Titanium (321) or Niobium (347) additions. 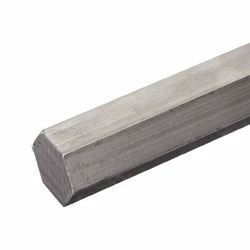 321 SS Square Bar grades are used because they are not sensitive to intergranular corrosion after heating within the carbide precipitation range of 425-850°C. 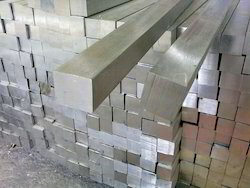 We have real stock of 316 SS Square Bar Grade 316 is the standard molybdenum-bearing grade, second in importance to 304 amongst the austenitic stainless steels. The molybdenum gives 316 better overall corrosion resistant properties than Grade 304, particularly higher resistance to pitting and crevice corrosion in chloride environments. It has excellent forming and welding characteristics. It is readily braking or roll formed into a variety of parts for applications in the industrial, architectural, and transportation fields. Grade 316 also has outstanding welding characteristics. Post-weld annealing is not required when welding thin sections. Grade 316L, the low carbon version of 316 and is immune from sensitisation (grain boundary carbide precipitation). Thus it is extensively used in heavy gauge welded components (over about 6mm). The austenitic structure also gives these grades excellent toughness, even down to cryogenic temperatures. 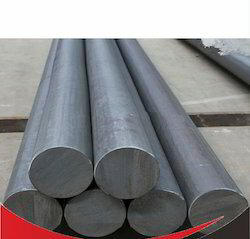 We are engaged in offering SS 303 Round Bar to the clients. 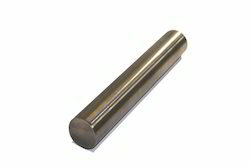 We are engaged in offering 303 SS Round Bar to the clients with hor rolled, Polished finish. 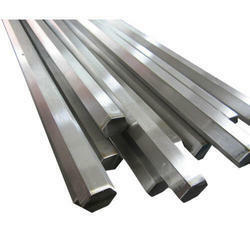 We are engaged in offering Stainless Steel Bar to the clients. 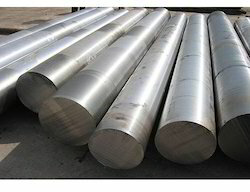 We are engaged in offering SS 410 Round Bars to the clients. We have realy stock of Grade 310, combining excellent high temperature properties with good ductility and weldability, is designed for high temperature service. 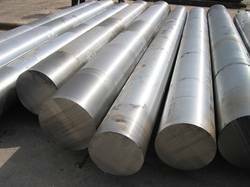 310 SS Round Bar resists oxidation in continuous service at temperatures up to 1150°C provided reducing sulphur gases are not present. It is also used for intermittent service at temperatures up to 1040°C. Grade 310S (UNS S31008) is used when the application environment involves moist corrodents in a temperature range lower than that which is normally considered "high temperature" service. The lower carbon content of 310S does reduce its high temperature strength compared to 310. Like other austenitic grades these have excellent toughness, even down to cryogenic temperatures, although other grades are normally used in this environment. Grade 310L (and proprietary versions of this grade), is a 0.03% maximum carbon version of 310, sometimes used for very specific corrosive environments, such as urea production. 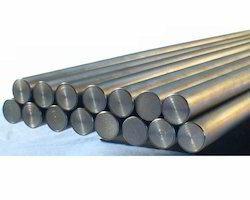 We are engaged in offering SS 316 Round Bar to the clients in customised length. 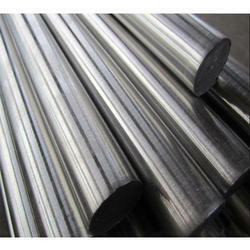 We have gained rich industry experience in the field of supplying a huge gamut of 202 SS Round Bar. Available in different sizes, shapes, finishes and dimensions, all our products require less maintenance and are ideal for high temperature & pressure applications. We have made our exclusive range of these caps by making use of world-class raw materials and sophisticated technologies. Grade 202 stainless steel is a type of Cr-Ni-Mn stainless with similar properties to A240/SUS 302 stainless steel. The toughness of grade 202 at low temperatures is excellent. It is one of the most widely used precipitation hardening grades and possesses good corrosion resistance, toughness, high hardness, and strength. The following datasheet provides an overview of grade 202 B stainless steel. Grades 321 and 347 are the basic austenitic 18/8 steel (Grade 304) stabilised by Titanium (321) or Niobium (347) additions. 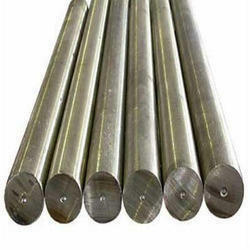 321 SS Round Bar grades are used because they are not sensitive to intergranular corrosion after heating within the carbide precipitation range of 425-850°C. Grade 321H is a modification of 321 with a higher carbon content, to provide improved high temperature strength. A limitation with 321 is that titanium does not transfer well across a high-temperature arc, so is not recommended as a welding consumable. In this case grade, 347 is preferred - the no high-temperature same carbide stabilisation task but can be transferred across a welding arc. Grade high-temperature the standard consumable for welding 321. Grade 347 is only occasionally used as parent plate material. Post-weld annealing is not required. They also have excellent toughness, even down to cryogenic temperatures. Grade 321 does not polish well, so is not recommended for decorative applications. Grade 304L is more readily available in most product forms, and so is generally used in preference to 321 if the requirement is simply for resistance to intergranular corrosion after welding. However 304L has lower hot strength than 321 and so is not the best choice if the requirement is resistance to an operating environment over about 500°C. 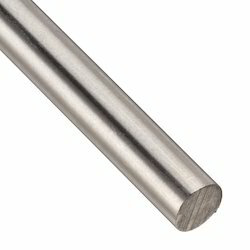 We have gained rich industry experience in the field of supplying a huge gamut of Stainless Steel 304 Round Bar. Available in different sizes, shapes, finishes and dimensions, all our products require less maintenance and are ideal for high temperature & pressure applications. We have made our exclusive range of these caps by making use of world-class raw materials and sophisticated technologies. 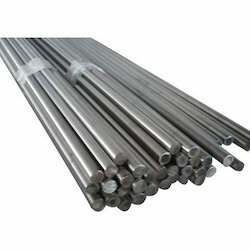 We are engaged in offering SS 416 Round Bar to the clients. 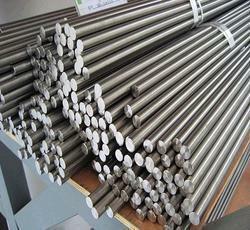 We are engaged in offering SS 430 Round Bar to the clients. 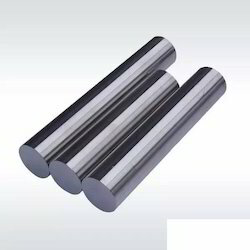 We Have Ready Stock of 431 SS Round Bar which is heat treatable martensitic, nickel-bearing grade has the best corrosion resistance properties of all the martensitic grades. It has excellent tensile and torque strength, and good toughness, making it ideally suited to shafting and bolt applications. It can be hardened to approximately 40HRC. Because of its high yield strength, this grade is not readily cold worked and is therefore not recommended for use in operations such as cold heading, bending, deep drawing or spinning. We are engaged in offering SS 316Ti Rods to the clients. 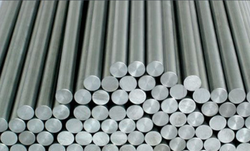 We are engaged in offering SS 304 Rods is the standard "18/8" stainless; it is the most versatile and most widely used stainless steel, available in a wider range of products, forms and finishes than any other. It has excellent forming and welding characteristics. The balanced austenitic structure of Grade 304 enables it to be severely deep drawn without intermediate annealing, which has made this grade dominant in the manufacture of drawn stainless parts such as sinks, hollow-ware and saucepans. Typical compositional ranges for grade 304 stainless sheets of steel are given in table 1. 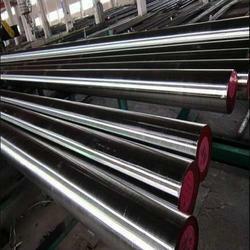 We have gained rich industry experience in the field of supplying a huge gamut of Stainless Steel Rod. 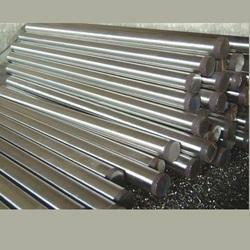 We have gained rich industry experience in the field of supplying a huge of 304SS Hex Bar. Available in different sizes, shapes, finishes and dimensions, all our products require less maintenance and are ideal for high temperature & pressure applications. We have made our exclusive range of these caps by making use of world-class raw materials and sophisticated technologies. 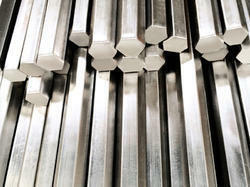 We have gained rich industry experience in the field of supplying a huge gamut of 316SS HEX Bar. 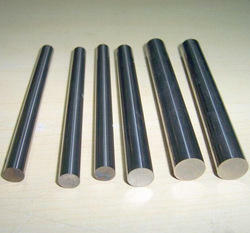 We are engaged in offering Hexagonal Round Bar to the clients. 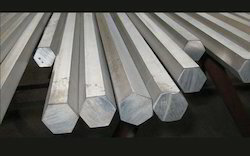 We are engaged in offering SS 420 Round Bar.It is a higher carbon version of 410 which can be hardened by a quench-and-temper heat treatment. It contains a minimum of 12 per cent chromium, just sufficient to give corrosion resistance properties. It has good ductility in the annealed condition but is capable of being hardened up to Rockwell Hardness 50HRC, the highest hardness of the 12 per cent chromium grades. Its best corrosion resistance is achieved when the metal is hardened and surface ground or polished. This datasheet describes the standard Atlas 420. Variants with carbon content controlled within particular ranges are also available, usually designated 420A (lowest carbon) and increasing through 420B and 420C. Consult Atlas for details. 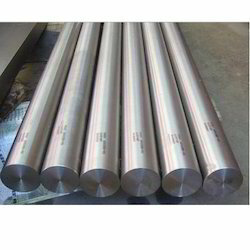 We are engaged in offering SS 316Ti Round Bar to the clients. 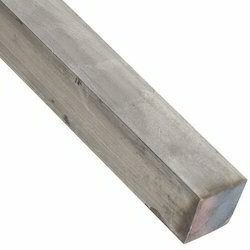 We have gained rich industry experience in the field of supplying a huge gamut of SS 304L Square Bar. Available in different sizes, shapes, finishes and dimensions, all our products require less maintenance and are ideal for high temperature & pressure applications. We have made our exclusive range of these caps by making use of world-class raw materials and sophisticated technologies.Grade 304 is the standard "18/8" stainless; it is the most versatile and most widely used stainless steel, available in a wider range of products, forms and finishes than any other. It has excellent forming and welding characteristics. The balanced austenitic structure of Grade 304 enables it to be severely deep drawn without intermediate annealing, which has made this grade dominant in the manufacture of drawn stainless parts such as sinks, hollow-ware and saucepans. For these applications, it is common to use special "304DDQ" (Deep Drawing Quality) variants. Grade 304 readily brakes or roll formed into a variety of components for applications in the industrial, architectural, and transportation fields. Grade 304 also has outstanding welding characteristics. Post-weld annealing is not required when welding thin sections. Looking for SS Round and Square Bar ?